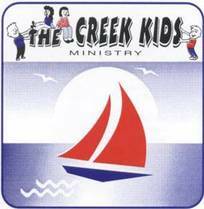 The Children's Ministry of FBC is designed to help your child's spiritual growth and social development. With a regular assortment of Bible studies, activities, and games, there is always something to do and somewhere to be. Every Sunday morning, we have Sunday School and Children's Church. During the school year on Sunday evenings, we have RA's, GA's, and Mission Friends. During the summer months, there is a Bible Study. On Wednesday nights during the school year, the children have Children's and Preschool Choirs. During the summer months, they participate in Kids Summer School. There is usually a monthly activity scheduled, such as bowling, skating, cook-outs, or camping. Yearly activities include Vacation Bible School (for children age four - sixth grade), RA Camp, GA Camp, and the Fall Festival. Join us and see why First Baptist Church is a place for God's little people. Children's Camp 2012 ~ "Revelation Song"
Click here to contact FBCGBC Children's Ministry.